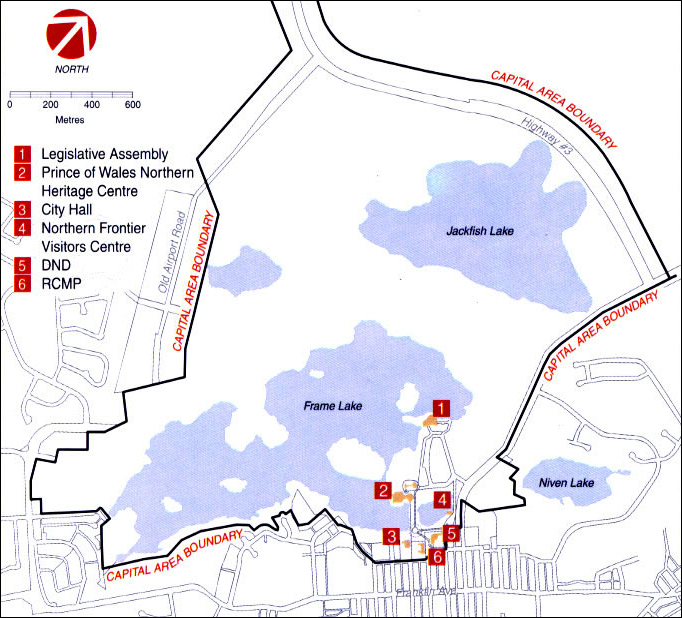 Yellowknife has been the capital of the Northwest Territories since 1967. The Tłı̨chǫ name for Yellowknife is Sombak'e meaning place of money. 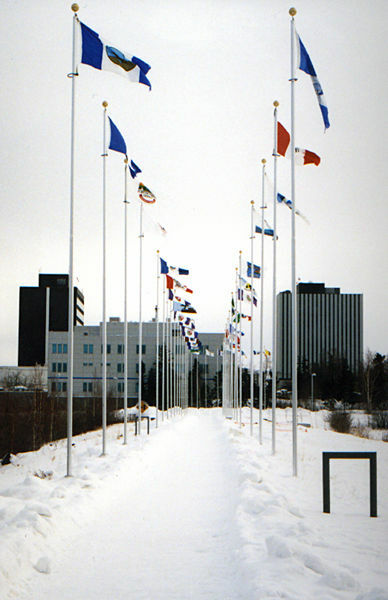 In the Capital Area Park, the flags from NWT's 33 communities are flown near the Ceremonial Circle. The name of an individual community is displayed on a flag pole, first in the Aboriginal language of the area and then the official name of the community is shown. The Ceremonial Circle is a gathering place for the people of NWT, which includes a ceremonial firepit and stages for use by groups wishing to celebrate events.